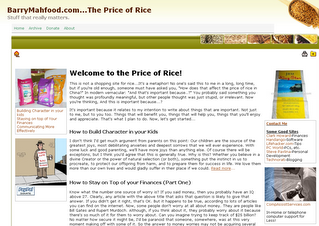 Just Launched...The Price of Rice! at BarryMahfood.com ~ Android Forever! Subtitled Stuff That Really Matters, my new website at BarryMahfood.com is designed to provide you with regular articles that will benefit you. 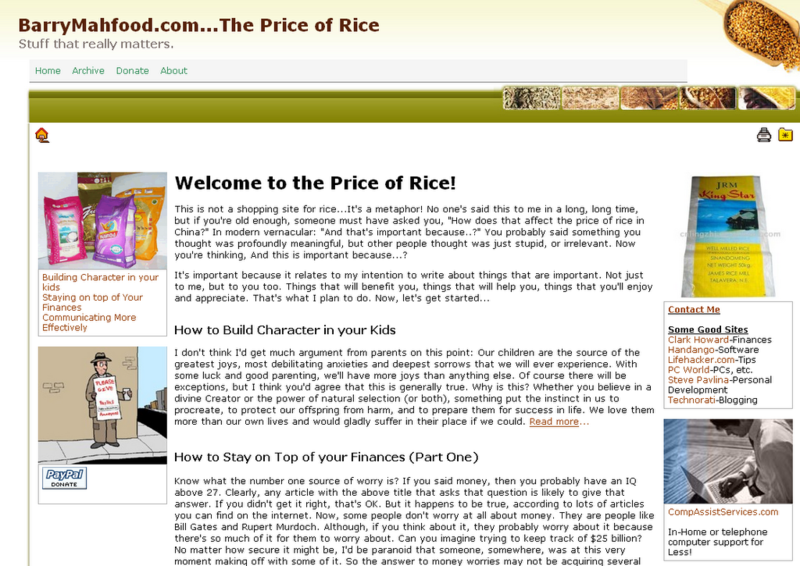 My first 3 articles (How to Build Character in your Kids, How to Stay on Top of your Finances, and How to Communicate More Effectively), are available now. Please enjoy them, and tell your friends!